We all think we know Stalin. He was the brutal and vengeful dictator of the Soviet Union from the late 1920s until 1953, when, mercifully, he died before he could do any more damage. He was the instigator of forced industrialization and collectivization, taking his country down a dead-end path from which its heirs are still trying to recover. As the valued ally of Great Britain and the United States during World War II, he was responsible for his country's victory over Nazism, which cost the lives of twenty-seven million Soviet citizens. He was the primary author of the Cold War, instigating such crises as the Berlin Blockade and the Korean conflict. And Stalin killed millions of people—party rivals, army officers, “kulaks” (supposedly rich peasants), ex-tsarist bureaucrats and nobles, nationalities, “asocials” (alleged prostitutes, petty thieves, gamblers, the chronically homeless and unemployed, etc. ), and innumerable “counterrevolutionaries.” He used the famine of the early 1930s to commit genocide against the Ukrainians. And he deported and murdered hundreds of thousands of Soviet Poles, Germans, Koreans, Chechens-Ingush, Crimean Tatars, and Kalmyks. Yet given Stalin’s enormous importance to the history of the twentieth century, it is remarkable how little we understand about his personality and motives. He left no memoirs and kept no diaries. Letters to his comrades, such as the telegraphic communications he sent to Moscow from his summer headquarters in Sochi, rarely have the color or tone of intimate notes. Those around him maintained no records of his conversations or ruminations. Memoirs of close comrades and acolytes, such as Vyacheslav Molotov or Anastasy Mikoyan, were not published until long after Stalin's death. The same goes for the scattered reminiscences of a variety of family members, chauffeurs, cooks, and security guards. He was an inveterate editor, so we do have his frequent markings on political articles and essays and notations on manuscripts and books. We hear him “speak” in lengthy and detailed official protocols of the Central Committee or Politburo meetings that were made available to researchers after the fall of the Soviet Union. But these reveal more about his signature political repartee—hard hitting, to the point, caustic, self-deprecating—than about his inner world. Historians also face the same problem that his contemporaries did in trying to understand him: Stalin was a consummate dissembler. He frequently assumed poses, played roles, and concealed his real thoughts. He plotted and schemed and had a supremely tactical mind. In “Stalin: Volume 1: Paradoxes of Power, 1878-1928” (Penguin Press), the first installment of a three-volume biography, Princeton historian Stephen Kotkin has done a superb job of getting us up close to the dictator. This book traces Stalin’s story from birth to 1928, when he inflicted the momentous First Five Year Plan and forced collectivization on the Soviet Union. Kotkin has mastered the vast historical literature, read reams of formal protocols of party and state meetings, made full use of document collections, and chased down rare and little known memoirs and reminiscences about his subject. This first volume is, in some ways, the hardest to research, since there is a great deal that is not known about Stalin’s boyhood, life as a seminary student, and career as a radical activist in Georgia. It becomes easier to trace Stalin’s astonishing rise to power once he assumed his crucial role in the development of the Communist Party after the October Revolution. Stalin-Iosef Djugashvili was born in the uplands Georgian town of Gori (“hill”) in December 1878. 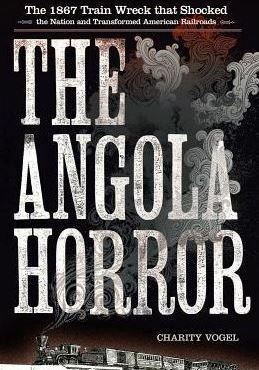 His father was a simple cobbler who drank heavily and separated from his handsome mother in 1883, when young Iosef, nicknamed Soso, was just five. 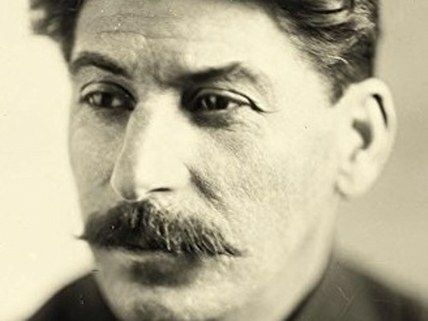 Many biographers search for the origins of Stalin’s incredible brutality and indifference to the pain of others in his youth, claiming that his alcoholic father beat both him and his mother and that he grew up in a violent milieu. Kotkin emphasizes instead that Stalin’s childhood was not unusual for young urban Georgian plebeians of that time and that the stories of beatings are much overdone. Young Soso’s mother coddled and nurtured him, making sure—with the help of friends, relatives, and interested churchmen—that he had a good education and was able to enter the seminary. The adolescent Stalin was not particularly a young tough; he was a sensitive and ambitious student, reading and writing poetry, influenced especially by Georgian nationalist epics and romantic verses. Soso also apparently had a quite beautiful voice and sang in seminary choruses. In short, there is not much in his background to foreshadow the mind-boggling violence and treacherous political backstabbing that came later. Similarly, Stalin’s interest in revolutionary activity did not derive, as many biographers would have it, from a particularly strong proclivity toward the violence and banditry that are endemic to the mountains of the Caucasus and a common characteristic of Georgian folk heroes. Stalin, like so many young non-Russian students in various parts of the empire—whether in Riga, Warsaw, Khar'kov, Minsk, or Tiflis—set off on the path to radical thinking at the end of the nineteenth century by reading socialist literature and experiencing some bitter moments of personal humiliation in an empire increasingly dedicated to the Russification of its population. He was deeply attracted to ideology and its relevance to political questions, something that stayed with him the rest of his life. Ideology was the lens through which he saw the world around him and interpreted both its opportunities and its dangers. Still, Koba, as Stalin was known in Georgian radical circles, was not averse to revolutionary bloodshed. Certainly, he was involved in the planning of the major Tiflis bank robbery of 1907 during which more than thirty people died. In his activities among workers in the oil industry in Baku, he was known to be aloof, conspiratorial, and sharp tongued. The Baku radical milieu was famous for its hostage taking, ransoms, and piracy. Crucial, too, was Stalin’s attraction to a particularly extreme socialist ideology, Vladimir Lenin’s Bolshevism. But none of this, Kotkin reminds us, can be seen as presaging his extraordinary rise to the pinnacle of political power in Soviet Russia. It was Leon Trotsky who began a long tradition of deprecating Stalin’s talents as a political leader when he called the Georgian nothing but an “errand boy” for Lenin in the revolution of 1917. As Stalin’s rival from the get-go—the two seemed to have a visceral hatred of one another—Trotsky (and after him, a number of biographers) portrayed Stalin as a mediocre and ignorant bureaucrat, representing the self-serving interests of a class of incompetent and petty bourgeois functionaries who would take Russia down the path toward a Thermidorean Reaction. Kotkin emphatically and convincingly refutes this take, suggesting instead that Stalin, after Lenin, was one of the most important figures in the Bolshevik seizure of power and the civil war that followed. As general secretary of the Communist Party, Stalin essentially built the party and the Soviet state, always attentive to Lenin’s wishes and ideas, ready to proffer his own conceptions, but also willing to compromise and learn, especially when it came to the admonitions of “Il'ich” (Lenin). Stalin was able, hard-working, and focused, as well as conniving and manipulative. When Lenin suffered a series of strokes in 1923 and died in January 1924, Stalin was in many ways Lenin’s most natural successor. Trotsky, of course, did not see it this way, nor did a number of other contenders for power. Moreover, the Georgian was little-known outside of narrow party and government circles. Still, Stalin had served as Lenin’s chief deputy, was a diligent student of the Bolshevik master’s thought, and had already amassed a considerable following among the middle level of the party. Kotkin lines up with some recent scholarship that suggests these documents may have been faked—that Lenin’s wife and secretaries, who saw to the infirm leader’s daily care, may well have published the Testament and addendum without any dictation from Lenin. They did this, the argument goes, not so much to keep Stalin from leadership as to maintain a balance between Stalin and the other contestants for power. Kotkin shrewdly argues that the Testament proved to be a Damocles sword hanging over Stalin, constantly threatening him with the humiliating revelation that Lenin had rejected him. This was not just a threat to his political ambitions but also a blow to his sense of self as Lenin’s most loyal lieutenant. Kotkin suggests that Stalin’s later vindictive murderousness derived in part from the resentment, self-pity, and sense of victimhood he inherited from a long struggle with the Testament and its meaning. In short, the Testament, fake or not, had a crucial effect on the development of Stalin and Stalinism. Once Lenin died on January 21, 1924, Stalin moved to assume the formal mantle of leadership by swearing fealty to Lenin and Leninism in a liturgically structured oration at the dictator’s funeral. (Conveniently for Stalin, Trotsky was on his way to a cure in the south and did not consider it necessary to rush back to Moscow for the ceremony.) In order to present his ideological credentials for leadership, Stalin also published “The Essentials of Leninism,” which, Kotkin tells us, was plagiarized from a minor comrade’s work. But succession in the Soviet system was never assured, and Stalin was faced with struggles from the “left,” meaning not just Trotsky but Grigori Zinoviev and Lev Kamenev, and from the “right,” meaning Nikolai Bukharin, Nikolai Rykov, and Mikhail Tomsky. Kotkin adds the intriguing finance expert, Grigori Sokolnikov, who called for Stalin’s removal from the Politburo in 1925, to the cast of characters involved in the mix of policy prescriptions and political alignments. The political struggle was sharp, intense, and dangerous for Stalin; there were moments when he might well have been removed. During the 1920s, writes Kotkin, Stalin developed an “increasing hyper-suspiciousness bordering on paranoia” that was “fundamentally political—and it closely mirrored the Bolshevik revolution's in-built structural paranoia, the predicament of a communist regime in an overwhelmingly capitalist world, surrounded by, penetrated by enemies.” Added to this “structural paranoia” was the mounting perceived threat of foreign intervention during the late 1920s. War scares were frequent and disabling, and the Soviet leadership understood that the country’s army was in pathetic condition. The fears that derived from this situation intensified with reports from the countryside, where peasants withheld grain from the market and production figures plummeted. In 1928, Stalin went to Siberia to outline his radical plan for the full-scale collectivization of agriculture. His announcement sent shock waves through the party. It was essentially an abandonment of the New Economic Policy, which since 1921 had allowed peasants the right to sell their grain on the market. Collectivization also seemed impossible at a time when few party members and state structures penetrated the Soviet villages. Stalin launched his brutal attack on the countryside in conjunction with the beginnings of a “drawn-out, painstakingly sadistic humiliation” of Nikolai Bukharin, a strong supporter of the New Economic Policy, who eventually was denounced, tried as a counterrevolutionary, and executed. Stalin’s economic policies in this period were thoroughly intertwined not just with his Marxist-Leninist ideology but with his drive to dominate his political opponents. Combined with the threat to the state from record low grain procurements, Stalin’s exaggerated fears of foreign invasion, exacerbated by the ideological prediction that imperialism would try to destroy the successful socialist revolution, set off a chain of bloody events from 1928 to 1938 that would rock the Soviet Union and the world. Kotkin insists that this is not just a story about Lenin, Stalin, and the delusions of Bolshevism, though it is certainly that. Late Imperial Russia faced a similar problem: Both regimes wanted to modernize a peasant society to withstand the pressure of enemies abroad and at home. The Russian village stood in the way, both for Stalin and for Piotr Stolypin, the prime minister and minister of internal affairs under Czar Nicholas II from 1906 until his assassination in 1911. But while Stolypin tried to consolidate peasant holdings in an attempt to create productive yeoman farmers who would support the tsarist regime, Stalin was intent on destroying individual family farming, collectivizing agriculture, and smashing the political independence of the peasantry, which he saw as threatening Bolshevik power. Kotkin’s study is a big book, with more than six-hundred pages of text and over three-hundred pages of bibliography and detailed endnotes. Kotkin goes to great pains to embed Stalin’s life within the larger Russian, European, and even world history of modernization and state building. Fortunately, Kotkin is an accomplished stylist as well as an amazingly diligent scholar. So the narrative, despite telling an intricate story that alternates between context and the details of Stalin’s life and career, is frequently exciting and fast-paced. The bad news on completing it is that the reader wants to keep going; the good news is that two more volumes are to come. 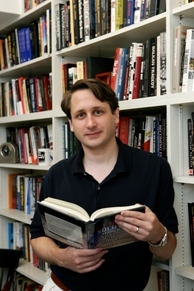 Norman M. Naimark is a professor of East European Studies and the director of the Global Studies Division at Stanford University. 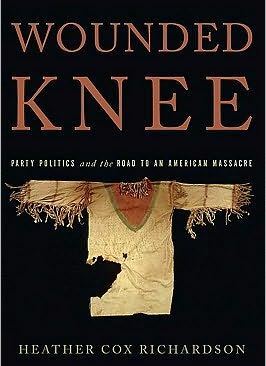 His books include “Stalin's Genocides” (Princeton University Press) and “Fires of Hatred: Ethnic Cleansing in Twentieth-Century Europe” (Harvard University Press). A slightly different version of this article originally appeared at Reason.com. 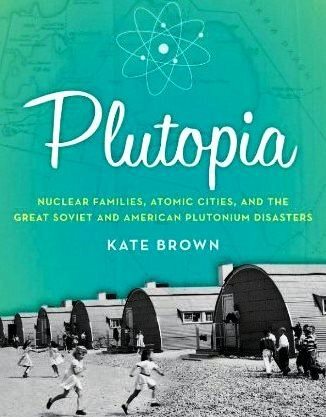 Plutopia—Kate Brown on Richland and Ozersk, a pair of shiny, happy communities that produced plutonium—and deliberately polluted the environment with radioactive waste.